Natural hoof trimming, natural hoofcare and barefoot trimming are all terms used to describe a method of trimming that enables horses to be kept and ridden without shoes. There are many different styles of trim but they are mostly all based on the wild horse model. Natural hoofcare is about more than just a trim method, however. It is a holistic approach to hoof care which takes into account the living conditions and the terrain that the horse encounters on a regular basis. The trim is a tool used to encourage the hoof to grow in a physiologically correct shape and the correct living conditions aid remodeling where necessary and help maintain a healthy hoof. Natural hoofcare and natural hoof trimming aim to mimic natural wear so is often carried out on a more frequent basis than traditional pasture trims. This keeps the hoof in the optimum shape at all times. 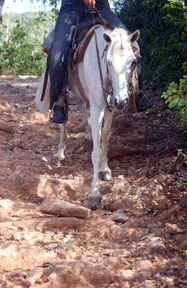 Improved blood flow which improved horse's overall health. Healthy, strong horn (hoof walls). Less tripping, stumbling and forging as horse can feel where it's feet are. However, it is not just simply a case of removing the shoes and happily riding off into the sunset. Most horses need to go through a transition period which allows the hooves to adapt to being barefoot. 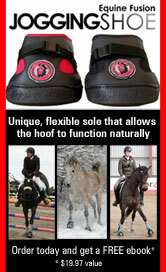 During that time hoof boots may be needed when riding. Encourage a tight laminar connection by dealing with flares to ensure that the coffin bone is held strongly in the top of the hoof capsule. The heels are trimmed to allow the frog to function in shock absorption. The walls are trimmed so that the sole is also weight bearing. The toe callus is encouraged to develop through conditioning to protect the front of the coffin bone. Ensure that the bottom edge of the coffin bone is kept at an approx 3° angle to the ground. Often in a typical pasture trim the heels are left long which encourages contraction and can lead to navicular pain. The toe callus is trimmed away (from the bottom) leaving the tip of the coffin bone unprotected. The walls are flat and left higher than the sole so they have to support the entire weight of the horse. 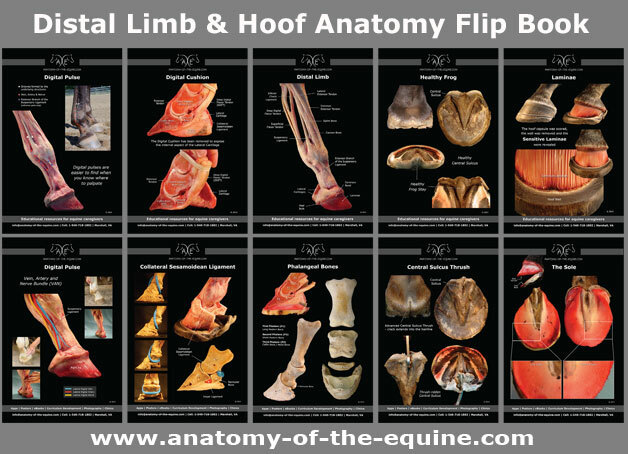 Flares are often ignored which puts strain on the laminar connection and results in poor suspension of the coffin bone making the horse more susceptible to laminitis. Trimming is often carried out on an infrequent basis, so the hooves are often not in an optimum state.